Taking photos at Magic Kingdom is the thing to do! Between screaming on Space Mountain, giving hugs to Pooh and Tigger, watching the afternoon parade, and eating crave-worthy food (like churros and Dole Whips!) – pulling out those phones and/or cameras is a must in our opinion. Honestly, no picture at Magic Kingdom is a bad picture. But, if we must limit it down, these would be our top 12 picks for best photo spots in Magic Kingdom! Well, in all honesty, we feel weird putting a restroom on our best photo list, but hear us out! Between It’s A Small World and Haunted Mansion, you’ll spot Rapunzel’s tower located near some very beautiful restrooms oddly enough. This area is draped with those stunning lanterns you can see in the Tangled movie. With a sun icon and yellow-gold lighting, this area is a must for photos when the night rolls in. Get ready to glow! Yes, you read that right. Hub Grass has made our list! Not too long ago, Magic Kingdom developed a beautiful green space that is typically open during the day but closed at night for Happily Ever After Fireworks Dessert Party viewing. During the day, this is a great place to sit and relax! Snap a selfie of yourself lounging in the #hubgrass and most people will have no clue you’re lounging around in basically the front yard of Cinderella Castle. Let’s add in a classic, shall we? Our two favorite Disney guys are hand in hand, taking center stage in what is known as the Partners Statue. Located directly in the center of the Cinderella Castle hub, you can’t miss Walt Disney and Mickey Mouse with the backdrop of Cinderella Castle behind them. Greeting guests into one of Walt’s unimaginable dreams come true, and his most memorable creation – Mickey Mouse, this is a great way to give a little thanks for all this magic you’re experiencing! You’re at Disney if you’re snapping these photos, so obviously you know that dreams do come true! Well, go ahead and make another wish at Cinderella’s Wishing Well, located to the right of the Castle (right side if entering from Main Street). There is a path that cuts down from the back of the Castle to Merida’s Fairytale Gardens. This is an especially favored place for proposals as the Castle beautifully sits close by. Typically not an overcrowded area, take your time to capture your special wish on camera. Alright, ladies – keep it together! Gaston has become one of the most popular characters to snag a photo within all of Walt Disney World. It’s not that we don’t still love our Disney Princesses, but Gaston’s not-so-humble attitude is hilarious and shines through in all his photos. Whether you’re flexing your muscles, giving him the stink-eye for Belle, or squeezing him with a big hug… Gaston makes our list for a photo you just hate (but love) to have! Ah, yes! We could never leave off the nostalgic Dumbo the Flying Elephant photo! Grab your best buddy or sweetheart and get ready to soar on Dumbo. Be ready to capture that perfect moment when you two get to feel like kids again! Having a hard time snapping a selfie on a moving Dumbo? There is a Dumbo located in the front of the attraction that makes for a great photo spot. You’re having a Zip-a-Dee-Doo-Dah day at Magic Kingdom, right? What better way to show that then to capture the moment you plummet down the side of Splash Mountain! This is one of those attractions that you’ll likely want to let Disney do the photo taking. As you drop, Disney will snap a photo for you to review after you exit the ride. This is a fun time to do something out of the ordinary (if you can keep yourself composed!). It’s especially fun if you get the whole boat in on the photo somehow. This one makes us think this must be what Mr. Fredrickson from the movie UP felt like! Politely ask one of the Disney Cast Members holding the bundle of colorful balloons if they would allow you to hold on to them. They will (while still keeping a hand on the bundle too) and let you snap a photo. 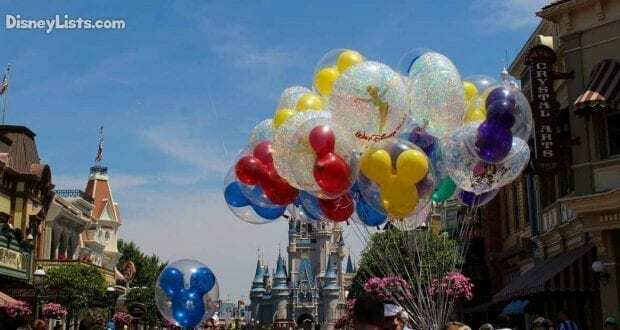 If you get the right angle, you can capture the Cinderella Castle behind you as the backdrop for you and your balloons! Who knew “Walls” could be such a trendy thing? Well, of course, if anyone can make something popular… it’s Disney. The #purplewall is especially “Instagrammable” as it seems to be one of the original “walls” that kicked off this trend. It’s simple really, a beautiful shade of solid purple that just seems to make the clothing and accessories of a Disney fan pop. Take a right off Main Street U.S.A., just past The Plaza Restaurant, and head into Tomorrowland Terrace. As you begin to exit the terrace and walk down the ramp, you’ll spot the purple wall on the right just before entering Tomorrowland near Monsters, Inc Laugh Floor. Ok, but wait a minute… the #PurpleWall above has a second half to it that you don’t want to miss! 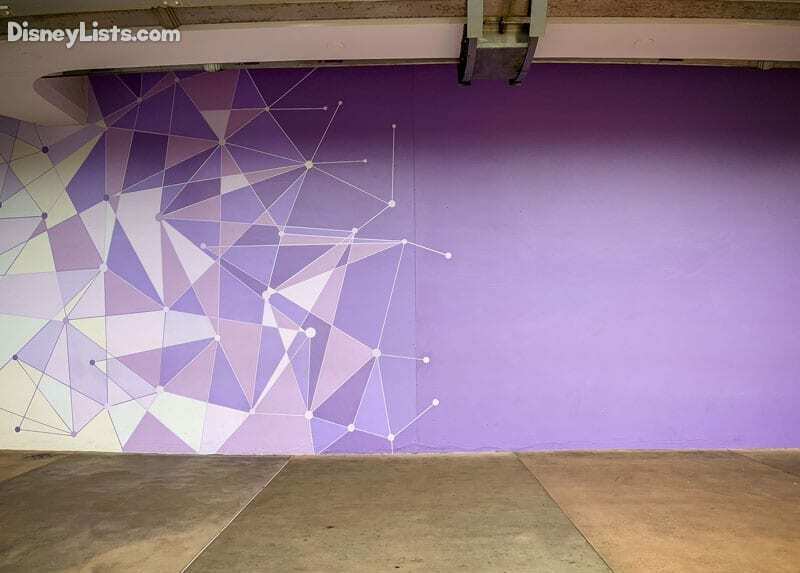 In that same location, you’ll notice the solid purple begins to shift into what is called the #galacticpurplewall which has a geometric design with lines and connecting dots. The solid purple shade turns into light purples and white. It almost looks like the design of Epcot’s Spaceship Earth. Who doesn’t love a sweet treat from Magic Kingdom’s Main Street Confectionery?! Go ahead and pick up your favorite treat and snap a photo with it in front of the #candystripewall. This wall features white with pink stripes and looks especially cute with cotton candy which seems to match perfectly! Of course! Could anything else be #1? Magic Kingdom’s park icon, Cinderella Castle, is one of the most well-known icons ON EARTH. When people see this Castle, they instantly think Disney and every fairytale dream comes to mind. There are so many ways to make your Cinderella Castle photo a memorable one. Be sure to snap photos at different times of the day as the appearance of the Castle changes in different lighting. Take photos from all sorts of angles. And even be sure to capture your favorite Disney snack or Mickey ear headband with Cinderella Castle as the backdrop. There is no way to go wrong with a photo in front of this beauty! 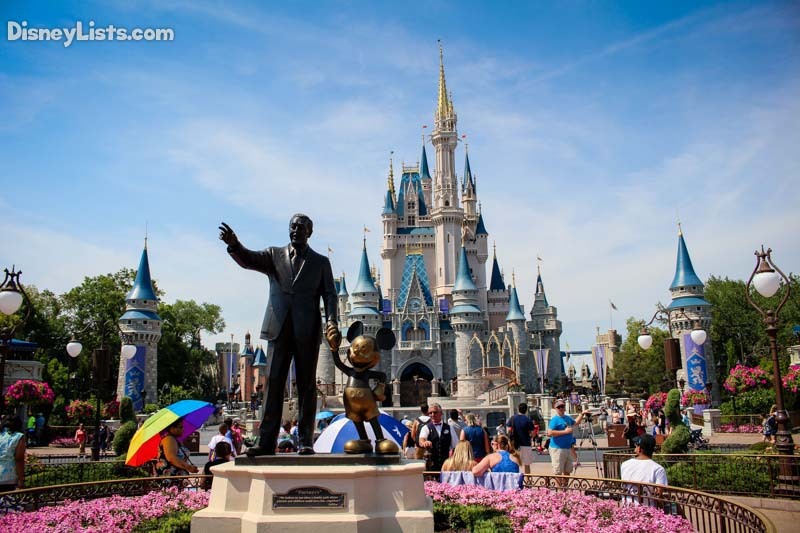 Did your favorite Magic Kingdom photo spot make the list?